Another Flash Sale on Fossil Watches! Did you miss out on our previous Fossil Flash Sale? We are having another Fossil Flash Sale that starts today! Save 60% off on select Fossil Watches – online offer only! Place your order by 4 pm and it ships same day! 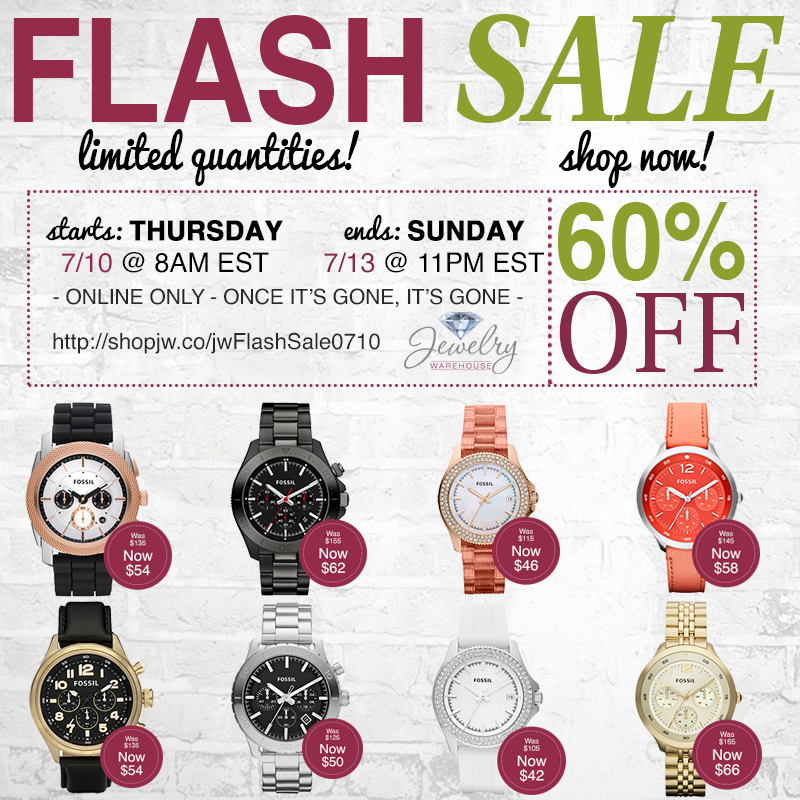 These Flash Sale Fossil watches are available online only! Not in-stores. This entry was posted in Sales, Watches and tagged clearance, flash sale, fossil, fossil watches, jewelry warehouse, sale, watches. Bookmark the permalink.